Two different bottle sizes. Larger one for every day house hold use. We keep it on our kitchen counter top for everyday – ready use. The smaller one we use for trips or gifts 🙂 So easy to carry with us anywhere we go. 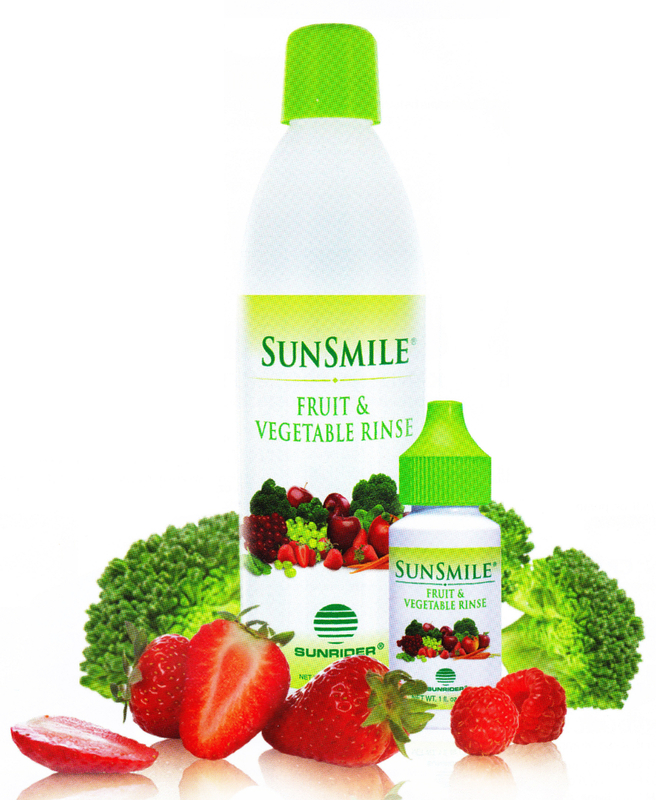 Sunsmile Vegetable Rinse – is the all-natural way to remove dirt, pollutants, agricultural chemicals, waxy coatings, and other undesirable residue from your fresh fruits and vegetables. Its ingredients are safe for your family and the environment so you can enjoy peace of mind along with cleaner, brighter, better- tasting produce. 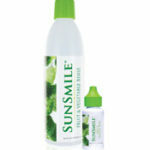 In today’s polluted environment, Sunsmile Fruit & Vegetable Rinse is a must for every household. Even if you buy organic produce, the handling and packaging of your fruits and vegetables may introduce a variety of contaminants. Help keep your family healthy by washing all your produce with our safe, effective rinse. We use it daily in our home. When we come back from the market, we take a large container ( bucket or sink) and fill with our fresh veggies and fruits. Fill it up with water, add a teaspoon of Sunsmile Vegetable Rinse and let it sit for 15 minuets. Afterwards we lay the produce on a dry towel on the kitchen counter top for the produce to drip dry. When dry, we place the Fruits and veggies in the fridge for when we want to enjoy them :-). 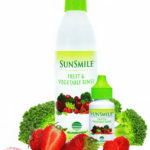 I have found that the produce lasts fresh much longer after applying the Sunrider Sunsmile Vegetable Rinse, much longer. It is because the Surnder Sunsmile Vegetable Rinse gets rid of the wax and anything that has been sprayed on them. So the Produce can “breath”. Formulated with owner expertise, Sunsmile Vegetable Rinse is gentle enough to use on delicate broccoli heads, field greens, and even herbs, yet strong enough to remove sticky glazes and glue residue. 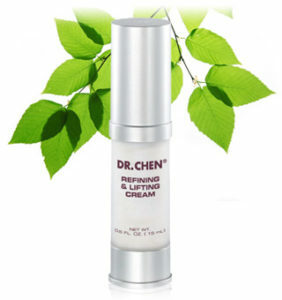 After using this amazing product you’ll understand why Dr. Chen considers it one of his best formulas. 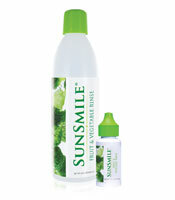 Be the first to review “SUNSMILE VEGETABLE RINSE” Click here to cancel reply.